Glorious arias from the operas Susannah, The Ballad of Baby Doe, Tenderland and more . . . songs by Barber, Hoiby, Bernstein and Beach . . . maybe even a serpent trying to ssssssteal the show! 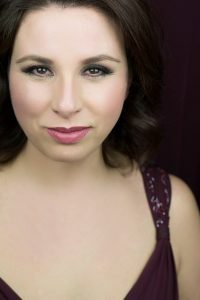 Place des Arts’ final faculty concert of the season features soprano Lambroula Pappas with guest pianist Matthew Ma in Bernstein, Beach and Beyond: A Tribute to American Classical Music! The concert repertoire includes, amongst others, Summertime from Gershwin’s Porgy and Bess, Ain’t it a Pretty Night from Carlisle Floyd’s Susannah, I Hate Music by Leonard Bernstein, Laurie’s Song from Tenderland by Aaron Copeland and The Serpent by Lee Hoiby. Pappas is particularly excited to perform Try Me Good King a song cycle by Libby Larsen that recounts the fate of the wives of King Henry VIII: annulled, beheaded, died, annulled, beheaded, survived. The lyrics of the Larsen work are the last words of the five wives not spared the monarch’s fickle ways. Read more about Lambroula here.